If you have ever come across the Amalfi Coast before, you will know what a treat I have in store for you. 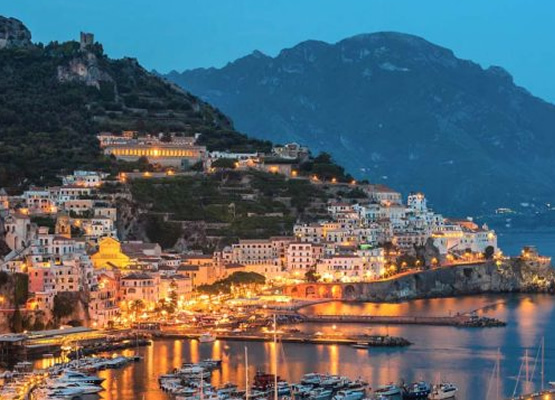 This must be one of the most beautiful places in the world and for those of you considering a destination wedding in Amalfi, it won’t be hard to find the perfect place. A little south of Naples and the famous Mt. Vesuvius, the Sorrento Peninsula juts out forming the bottom of the Gulf of Naples and the top of the Gulf of Salerno. The lovely island of Capri sits at the western end of the peninsula looking back at the mainland. As well as Capri, we’ll be talking about the beautiful cities of Ravello, Positano, Amalfi and Sorrento which are all in this area. Choose Puglia for your exclusive wedding. Forget the frantic city and discover dreamlike natural landscapes and charming views. Whether you’re on the coast or in the countryside, in a village or city street, you’ll find exclusive locations for your special occasions. Ancient masserie (manor farms) and historic mansions have been converted into 5-star resorts in dreamy locations. Sip a drink by the pool, surrounded by olive trees and scented gardens. Treat yourself to the thrills of prestigious greens where you can play golf all year round. After all, we take wellbeing seriously in Puglia. 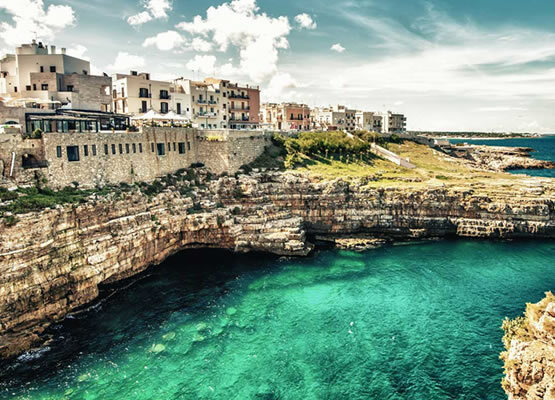 Delight your senses with a gourmet dinner – Puglia’s flavors are as unique as your tastes. 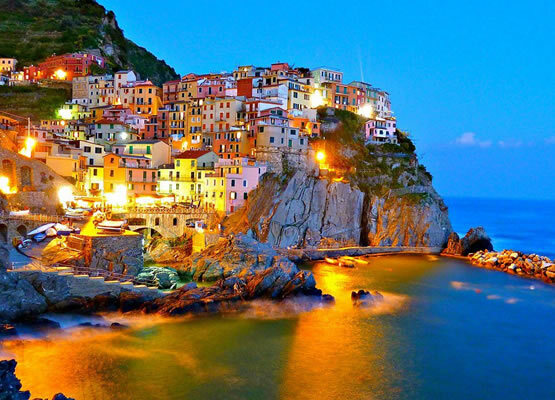 Getting married in the Cinque Terre means choosing for your BIG DAY one of the most beautiful countries in the world and one of the most romantic and undiscovered locations in Italy. The best locations for your ceremony and reception, traditional and unique menus, local floral artists and photographers. Lake Como is one of the famous Italian Lakes wedding destinations, not far from Milan in the north of Italy. 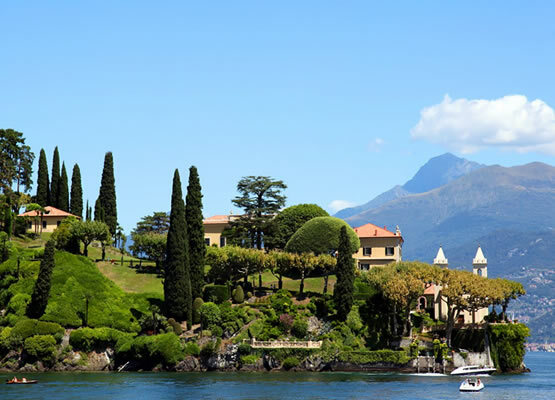 Like the other Italian Lakes, Lake Como has been popular as a resort since the days of the Roman Empire. Visitors ever since have admired the blue waters and relaxed in luxurious villas in the wooded lakeside slopes above. 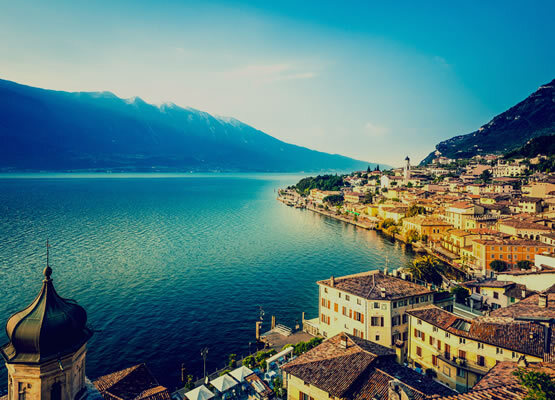 Lake Garda could be a perfect destination for many reasons! Here you could enjoy wonderful nature: cypresses, lemon trees and olive grooves, bouganvilles, gardens, parks, impressive view over the sky and the waters. And what about its mild climate and enchanting colours? Lake Garda has also a great history, such as Castello di Malcesine, Torri del Benaco and Castello di Lonato. They can all host outdoor legal ceremonies overlooking great panoramas. 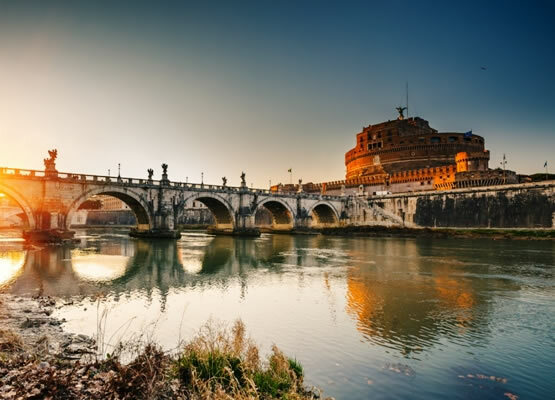 Rome is a beautiful and mesmerising city, perfectly situated amongst an unlimited number of historical sites and monuments that give the city it’s unique character. You can feel the romance, wandering through Rome’s beautiful piazzas and squares. The home of the Vatican, where romance and history touch all who visit, Rome makes a stunning setting for a wedding. Sicily is the largest region in Italy, a “little continent” rich in art, culture, archaeology, history, breathtaking sceneries and stunning natural wonders, amazing minor isles and archipelagos such as the Aeolian Islands with crystal clear waters, coves, caves and pristine beaches, refined cuisine, great wines, important literary traditions, myths and legends. You can choose between many luxury wedding venues to celebrate your special day: exclusive and luxury villas, ancient castles, luxury resorts, historical palaces. Lonato. They can all host outdoor legal ceremonies overlooking great panoramas. 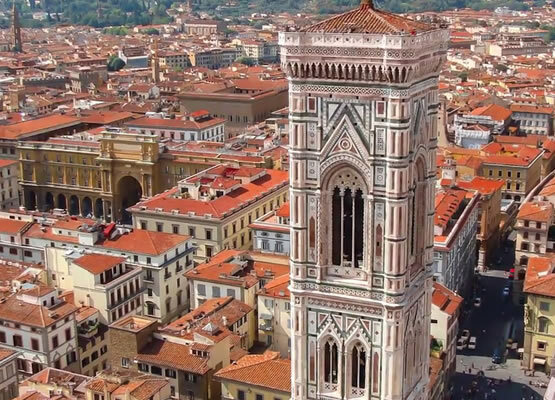 Florence is Tuscany’s unmissable crown jewel, with its beautiful buildings, colourful history, priceless art and unique atmosphere. 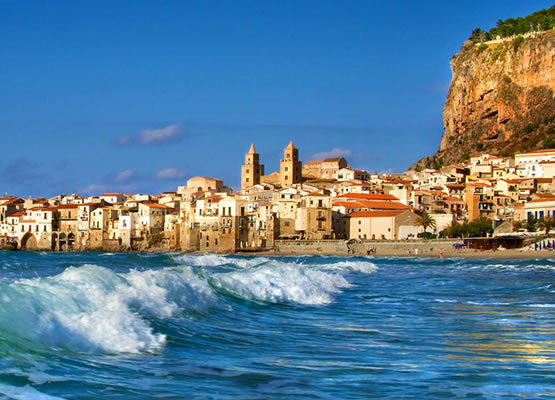 But Tuscany is one of the Italian regions well-known to foreigners as a wedding destination. For decades a Tuscan villa has been the dream holiday for many travellers. Siena is a patrician hilltop town with a past to rival that of Florence, famous for the rivalry between its districts (called contrade) which climaxes in the Palio. Pisa boasts not just the legendary leaning tower, but also several other attractions, and good transport links to other parts of Italy. Smaller Tuscan destinations which are popular with holidaymakers include Lucca, San Gimignano (a forest of medieval towers on a hill) and the wine-producing Chianti area. Do you think that the wedding of your dreams is unfeasible ? well…you are wrong, even dreams become true! 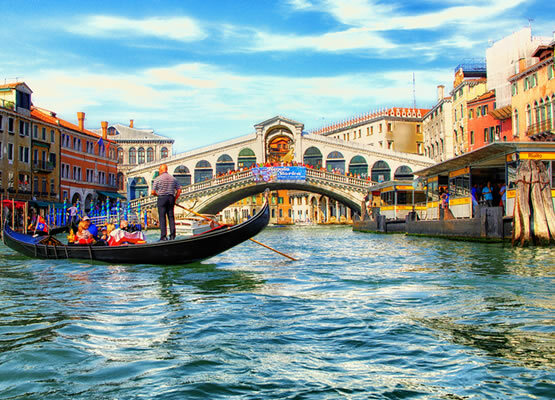 Venice is ready to satisfy your requests an propose spectacular solutions to live the great day in the most romantic location of the world.